1. 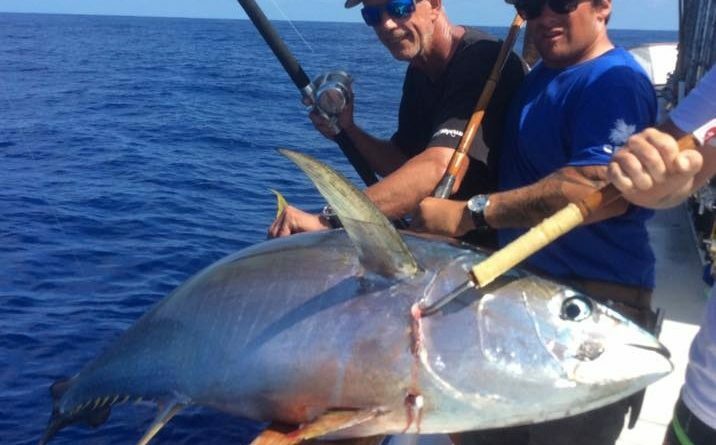 While the catches on bluefin sputtered in recent days, the offshore action is still the top pick. The bluefin usually come back on during the full moon (especially after it), but the yellowtail have taken up the slack, proving excellent action near floating kelp paddies in the same area the bluefin are hanging. Most of the bluefin are 20 to 30 pounds while the yellowtail are small grade fish from five to 10 pounds. Overnight and 1.5-day trips, mostly out of San Diego Landings, are the ticket. For an update on the action, check the reports and audio on 976-tuna.com. 2. The winter trout bite on the upper Owens River was a fixture in the top picks much of last winter and early spring, well, it’s back. The big rainbows out of Crowley Lake are stacking up in the deep runs and riffles in the Hot Fingers stretch of the Owens. This is all catch-and-release fishing, but anglers are already report 20 to 30 fish days of trout to four pounds. For an update on this bite check with any of the fly-fishing shops or guide services in the Mammoth Lakes or Bishop region. Those include The Troutfitter at 760-934-2517, Sierra Drifters Guide Service at 760-935-4250, or Sierra Trout Magnet Fly Shop at 760-873-0010. 3. A last hurrah for rockfish. With the season closing Jan. 1, now is the time to get in on a ice-chest filling trip for bottomfish off the local coast. The rockcod action has been excellent on most half-day to overnight boats along the Southern California coast. The best action has been on the landings from Oxnard to Morro Bay with 10-fish limits common on trips from these landings. There are also usually quite a few quality lingcod and nice catches of whitefish to go along with the cod. 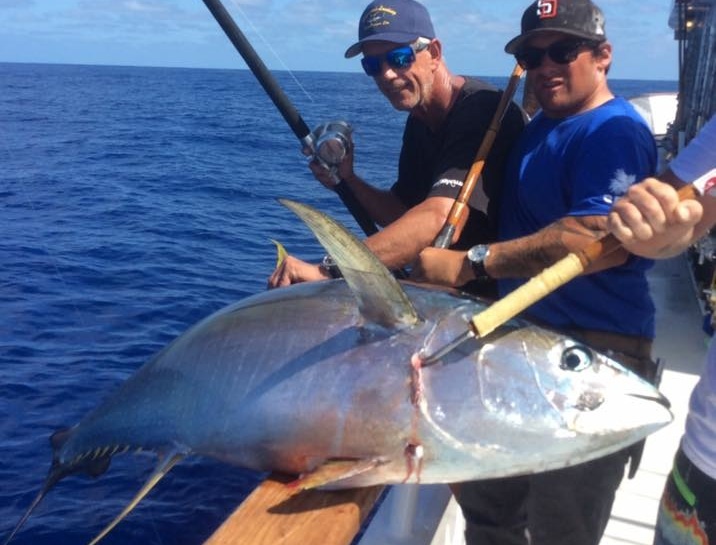 For an update on the action, check the reports and audio on 976-tuna.com.